1. High-Yield Embryology, 4th Ed. Ronald W. Dudek. Lippincott Williams & Wilkins, 2010. Category C is the confusing category. 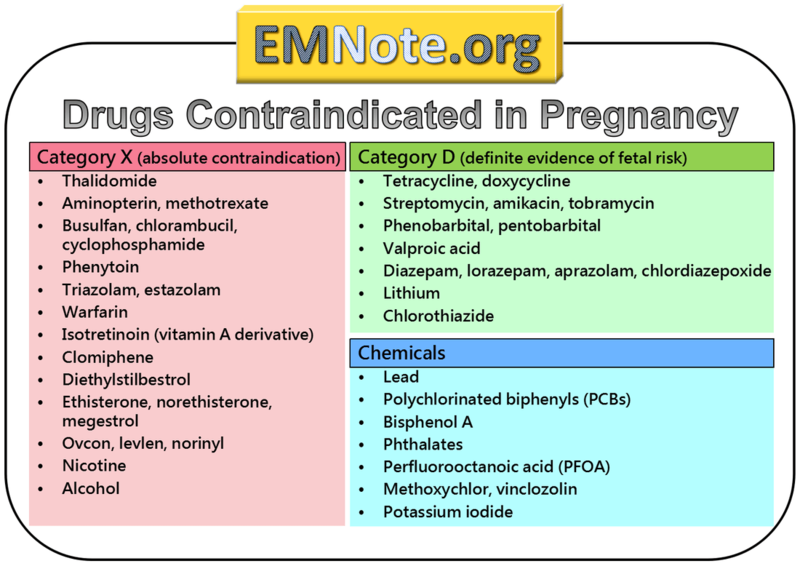 A medication gets this classification if there is insufficient data on its use during pregnancy. It could be safe or probably safe, or it could be potentially harmful. Clinicians and patients were often confused by the meaning of the pregnancy risk categories because, according to the FDA, it was overly simplistic, led to misinformation, and did not adequately address the available information. The new labeling system allows better patient-specific counseling and informed decision making for pregnant women seeking medication therapies. While the new labeling improves the old format, it still does not provide a definitive “yes” or “no” answer in most cases. Clinical interpretation is still required on a case-by-case basis. The labeling changes go into effect on June 30, 2015. Prescription drugs and biologic products submitted after June 30, 2015, will use the new format immediately, while labeling for prescription drugs approved on or after June 30, 2001, will be phased in gradually. Labeling for over-the-counter (OTC) medicines will not change; OTC drug products are not affected by the final rule.